Operating an All Terrain Vehicle - (ATV) is not just a simple as jumping on, turning the key and taking off. Correct identification of potential hazards and becoming confident in riding an ATV enables you to get where you are going and back safely and without incident. 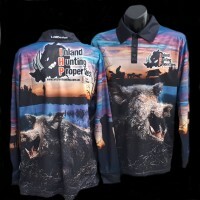 Here at IHP, as you know, we're all about promoting safety when you're out on our properties, and when operating heavy machinery, like an ATV - you can never be too careful or know too much. 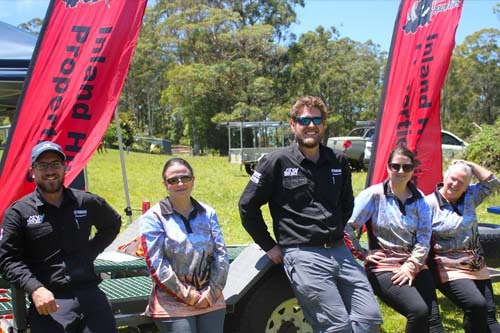 The team here at IHP took the opportunity to level up and experience first hand what is involved in taking a one day course with the Yamaha ATV SSV Safety Institute (YASSI). 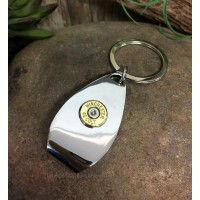 To encourage many of our hunters to take these courses. Having done the course ourselves, we can explain first hand, the benefits of taking a 1-day course. To advocate the course to property owners for themselves and their worker's safety. 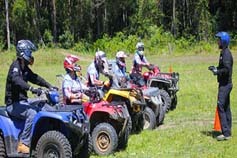 Some of our property owners currently do not allow ATV's because of a perceived safety issue. We wanted to create a clear roadmap forward to allow hunters that have passed the course an exception to the ban, due to these hunters demonstrating a level of ATV proficiency. First, we completed an online course which took us around 30 – 45 mins, which required a pass before we could move to the next stage and do the practical side of the day. Riding on the side of a hill – like a dam – and riding on an angle, we weren't too comfortable to do this, and it's not your ideal patch if another one is available, but if we had too, we now know how to rid on an angle. Learnt how to brake correctly and also emergency braking. Some people say they don’t like to wear helmets because they aren't too comfortable, too heavy and can’t hear people, but these new shark helmets are really lightweight and we were surprised how easy it was to hear everyone still. This course is open to all Age groups can attend this course, with our age group being from their 20’s to in their 50’s. Anyone can do the course, some of our riders were quite experienced and somewhere first-timers, everyone walked away from the day learning a lot and feeling much more confident in handling a bike. Before even climbing onto our ATV’s – carl and Daniel showed us how to do a check, what to look out for before we even started out. Carl and Daniel were really good trainers – they showed us through all the steps and if there was ever something that we couldn’t quite get, they were very patient with us, took the time to make sure we understood and were able to show it. Found Carl and Daniel very patient, they gave clear instructions that were easy to follow. We had a few laughs few the day and this really helped to settle our nerves so we ended up learning quite a lot. Coming from being really inexperienced, I learned a lot during the day and this gave me a big boost of confidence. The best thing I got from the course is that I brought my 7yo daughter an ATV for Christmas, and now I know what I am teaching her is the safest. I want to thank Daniel and carl for the opportunity to do the correct things from the start. This is something that I am now doing with my family, I know that we are all enjoying it and I know that we are all safer doing it. They touched a lot on being aware of our surroundings and possible hazards, which we found very useful knowledge. At the start of the course, I was a complete beginner and by the end of the course I was quite confident and actually had a lot of fun. 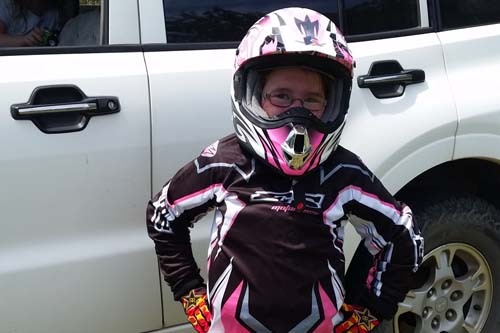 Thanks to also Carl and Daniel, when I was shopping for an ATV for my daughter, I knew that I had to get her the correct size bike, I couldn’t get her an adult sized bike and think that she would grow into it. I also knew the correct safety gear to buy her so she could ride her new ATV safely. We want to personally thank Carl and Daniel for showing us all the safety aspects and now are big advocates to our 30,000 hunters of what they do. 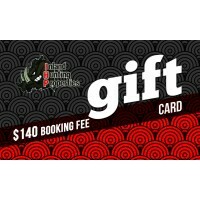 WHO IS THE YAMAHA MOTOR AUSTRALIA ATV/SSV SAFETY INSTITUTE? 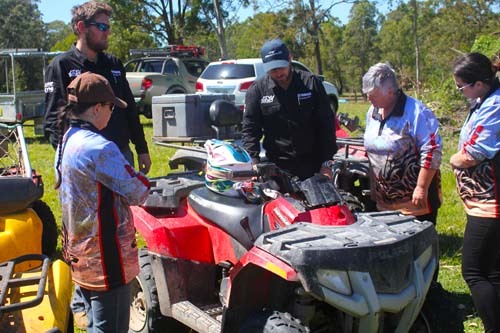 The Yamaha Motor Australia ATV/SSV Safety Institute (RTO 30911) is a nationally recognised leader in ATV and SSV training that delivers Statement of Attainment for AHCMOM211 Operate side by side utility vehicles and AHCMOM212 Operate quad bikes. 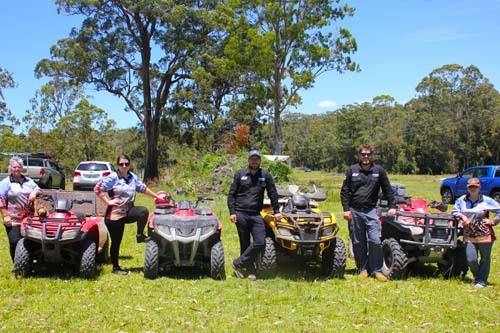 We deliver training to the rural, industrial, commercial and sports ATV/SSV and Off-Road markets and promote the safe and responsible use of ATV and SSV and Off-Road Vehicles distributed in Australia. 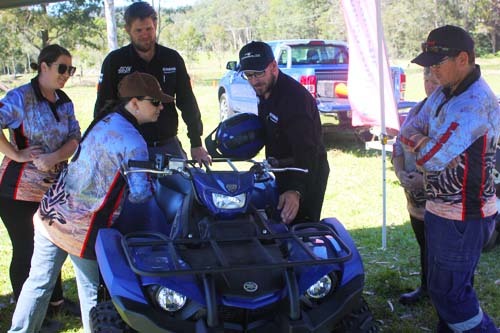 Yamaha Motor Australia ATV/SSV Safety Institute will continue to be an information source for ATV standards based on proven USA safety programs designed by the Specialty Vehicle Institute of America (SVIA). 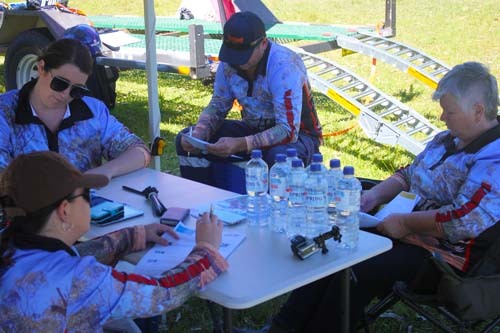 We continue to lead the way in expanding and implementing ATV and SSV rider-training programs Australia wide. The course was run by YASSI - Carl Eggenhuizen and Danial McCloghry. 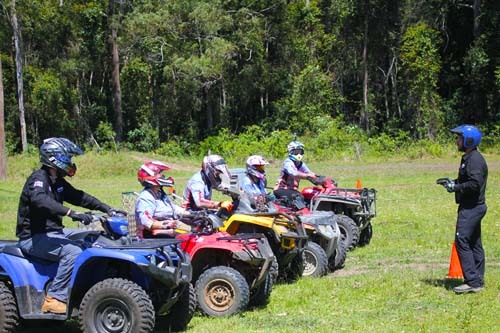 The course was through Yamaha ATV SSV Safety Institute (YASSI). Participants were employees of IHP.